Recognized Experts. Friendly Doctors. Compassionate Care. 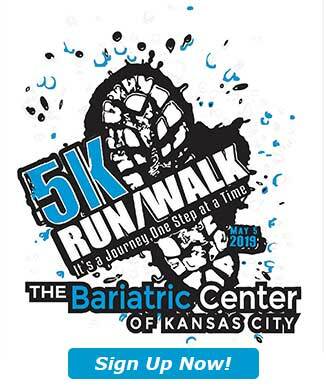 The Bariatric Center of Kansas City, located in Lenexa, Kansas, is the leading center for weight loss surgery in the greater Kansas City Metropolitan Area and the Midwest. First in the region to receive designation as a Center of Excellence in 2006 by the American Society for Metabolic and Bariatric Surgery (ASMBS), we are proudly one of the highest volume weight loss centers in the country with over 12,000 operations performed since we opened in 2002. With 35 years of expertise, The Bariatric Center of Kansas City surgeons have safely performed the largest number of bariatric procedures in the Midwest region and are the most experienced and skilled at doing them. The Metabolic and Bariatric Surgery Accreditation & Quality Improvement Program (MBSAQIP), a joint program by the American College of Surgeons (ACS) and the American Society for Metabolic and Bariatric Surgery (ASMBS), has awarded The Bariatric Center of Kansas City accreditation as a Comprehensive Bariatric Center, an accreditation only awarded to those centers that meet the highest standards in patient care. We have also been chosen as the preferred Bariatric Center of Excellence for all major insurance companies in the region because of our ongoing commitment to excellence. The Bariatric Center of Kansas City is also a national leader in revisional bariatric surgery, turning old operations into new, effective ones. With three highly trained Bariatric Surgeons, Dr. Stanley Hoehn, Dr. Brice Hamilton, and Dr. Robert Aragon, you can count on the availability of a bariatric surgeon at all times when you need care. Our patients never need to worry about receiving “off hour” care from medical providers unfamiliar with the special needs of a bariatric patient. We provide a comprehensive team approach, and have assembled dedicated experts in every position to assist you on your bariatric journey and help you reach and maintain your weight loss goals. The Bariatric Center places a high priority on all aspects of patient care, including pre- and post-procedural care. Patients are screened for physical and psychological health before they are approved for surgery to ensure their success and safety. Follow-up care includes physician visits and a variety of activities focused on social support, such as support groups and peer mentoring. Attend our free informational seminar to get your bariatric weight loss journey started, or to learn more! If you are have struggled with obesity and its associated medical problems and are seeking the most effective way to lose weight long-term, then a bariatric surgery such as the Roux-en-Y gastric bypass, gastric sleeve, or Lap-Band may be for you. If you have undergone a previous weight-loss surgery and have developed complications or weight regain, then revisional surgery may be for you. The surgeons at KC Bariatric are highly experienced with primary and revisional bariatric surgery. We perform the highest volume of bariatric surgeries in the entire Midwest, and rank among the highest volume bariatric surgical centers in the country. We have the skill and experience you can trust! If you would like to find out if you qualify for weight loss surgery please reserve your spot at one of our free informational seminars where you will personally meet Dr. Hoehn, Dr. Hamilton, Dr. Aragon and Dr. Strain. You have been unsuccessful in documented attempts to lose weight through diet and exercise. You are highly motivated and committed to making changes in food choices, eating habits, physical activity and lifestyle in order to ensure successful weight loss after obesity surgery. You are morbidly obese, or have a BMI of 40 or higher, or have a BMI of 35-39.9 with one or more medical conditions related to obesity, such as diabetes, high blood pressure, high cholesterol, sleep apnea, fatty liver disease, joint pain, and acid reflux disease. If your BMI is 30+, you may be eligible for self-pay Lap-Band or Gastric Sleeve. You are free from drug or alcohol addiction. Each person’s candidacy is evaluated on a case-by-case basis, so depending on your physical health and other factors, you may qualify for surgery even if some of these criteria are not met. There are other factors that are important in determining whether an individual makes a good candidate for an obesity surgery. Dr. Hoehn, Dr. Hamilton, Dr. Aragon and Dr. Strain are experienced surgeons who can determine which bariatric procedure is right for you during an initial consultation. Please sign up for one our free seminars to learn more and to start the process that leads to a private consultation with one of our surgeons soon. The Bariatric Center of Kansas City is the only weight loss surgery center in Kansas City that is in-network and designated as a Center of Excellence facility with all major carriers. We have received designation as an Accredited Comprehensive Center from the Metabolic & Bariatric Surgery Quality Improvement Program, the highest quality status given by the American College of Surgeons and the American Society of Metabolic & Bariatric Surgery. This makes us the most trusted bariatric surgery center in Kansas City for Gastric Bypass, Gastric Sleeve, and Gastric Band procedures. We believe these distinctions have helped lead us to be the highest volume bariatric center in Kansas City for all three surgery options, and that it sets us apart from other weight-loss surgical centers in the area. As part of our comprehensive program, we offer you a full complement of services and benefits to ensure that your weight-loss surgical procedure is maximized for long-term success. When comparing your cost for the Gastric Band surgery, make sure you take into consideration the cost of after care and fills. Call (913) 677-6319 today and ask about our Quality Care, Limited Time Savings and a Fast Track to a healthier life! We work with trusted financing companies that can help you finance the cost of surgery whether it be for private pay, deductible, co-insurance, or other out-of-pocket costs. Click on the links below to get started. The surgeons at KC Bariatric have extensive experience operating patients even with BMI’s in the super obese range. We are committed to helping achieve your weight loss goals. Our free seminars are a great opportunity to learn about bariatric surgery, ask questions, and meet other people who are on the same journey. We invite you to come meet Dr. Hoehn, Dr. Hamilton, Dr. Aragon and Dr. Strain, and find out if you are a candidate for weight loss surgery. Laparoscopic vertical sleeve gastrectomy (also known as “gastric sleeve” or “the sleeve”) is a procedure which removes approximately 75% of the stomach by dividing the stomach using special surgical staplers. The remaining part of the stomach is a tubular (‘sleeve-shaped”) stomach and is resistant to stretching. This drastically reduces the amount of food you are able to eat. Patients feel fuller with much less food, thereby consuming less calories. This procedure does not reroute or “bypass” any intestine. Short term studies show that the sleeve is nearly as effective as the Roux-en-Y gastric bypass in terms of weight loss and improvement or remission of diabetes. Patients of the Bariatric Center of Kansas City typically lose about 60-70% of their excess weight and medical conditions associated with obesity such as diabetes, sleep apnea, high blood pressure, and high cholesterol are commonly resolved with significant weight loss. Gastric bypass (also known as “Roux-en-Y” or “the bypass”) is considered by many as the ‘gold standard’ of weight loss surgery. It can provide approximately 70-80% of excess weight lost within the first year after surgery. It is also a highly effective treatment for diabetes in obese individuals. Laparoscopy allows this procedure to be performed with only a few small incisions in the abdomen, and has less of a chance of complications during and after surgery, also requiring shorter hospital stays and recovery periods than open procedures. Laparoscopic Roux-en-Y gastric bypass causes weight loss by significantly restricting the amount of food you can eat, allowing less absorption of calories, and suppressing hunger and promoting the feeling of fullness. The surgeons at The Bariatric Center of Kansas City have performed the most laparoscopic gastric bypass surgeries in the Midwest. The Bariatric Center of Kansas City is pleased to announce the use of office based fluoroscopy to assist patients in maximizing the filling results of their gastric band adjustments. The surgeons at The Bariatric Center of Kansas City are able to precisely fill the LapBand with real time visualization of the band and how fast the band empties. The purpose of this technology is to perform an upper GI study while the LapBand is being filled. This allows us to more accurately achieve the level of restriction desired for controlling hunger AND avoids overfilling or obstruction of the LapBand. Am I A Weight Loss Surgery Candidate?